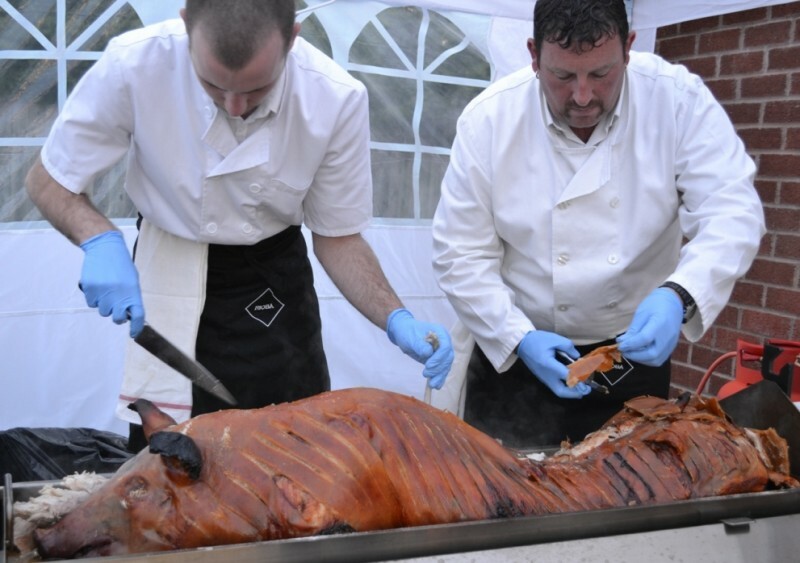 Whether you’re celebrating a birthday, organising a wedding or hosting a party, a hog roast is an all-round favourite when it comes to catering – and here at The Roasting Pig, we pride ourselves on being the number one choice in the East Midlands. 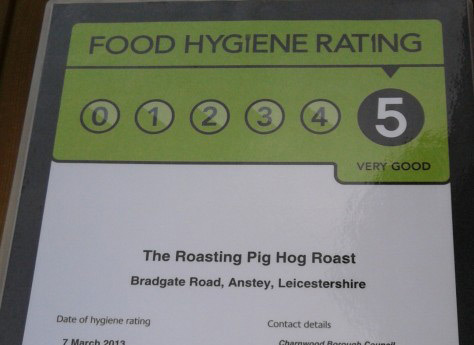 Based in beautiful Anstey, Leicestershire, we cater for hog roasts in Hinckley and many of the surrounding areas, including Burbage, Earl Shilton and Barwell. We’re pleased to offer a variety of packages, which makes it easy for you to get your celebration exactly right; the wedding service includes all catering, a variety of meats and side dishes, and luxury desserts, while our birthday and corporate packages feature various menus cooked by a professional chef. 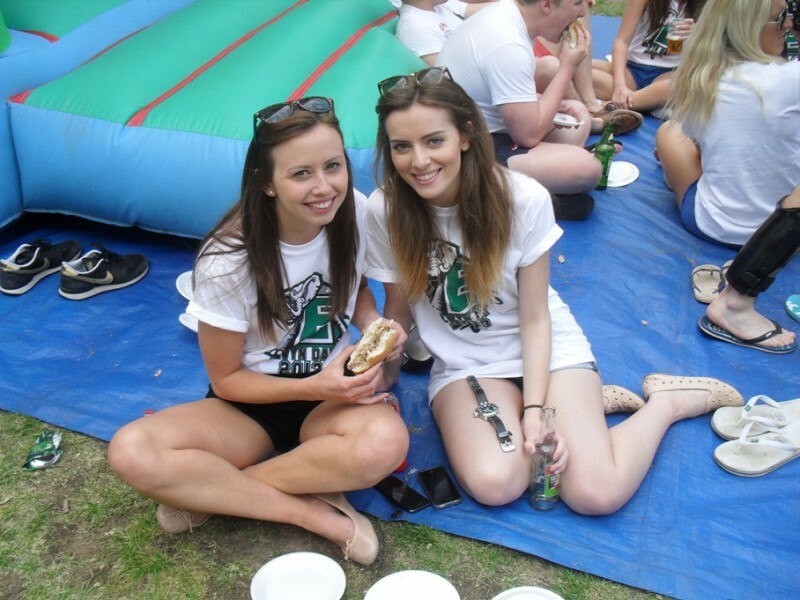 We like to make things as hassle-free as possible, which is why we also offer to include everything from napkins and cutlery to a gazebo for dining. With a spotless five-out-of-five hygiene record, and countless testimonials from previous customers, we’re proud to call our service the very best. Our food is the most mouth-watering, our British meats are only the very freshest, and our staff are the friendliest. Give us a call today on 0116 212 5259 to book the experience for yourself! As well as offering fully catered events, we’re also pleased to offer the opportunity to simply hire the equipment for your event. Available within Hinckley and surrounding areas, we deliver and collect the equipment anywhere within a 30 mile radius of Leicestershire, making this the ideal option for anyone who prefers to cater for their guests themselves. 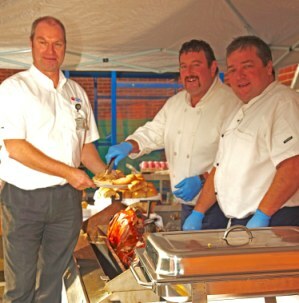 Our specialist equipment includes a Titan hog roast oven, a gas cylinder and cooking guidelines, and the hire service also includes the opportunity to request a demonstration, so you can be sure you’re confident with cooking. Our rates for hiring start at just £195, or £330 if you decide to add on one of our delicious 50kg hogs.